I stumbled across this salad by accident. It started off as a ‘bitza’ but now I cannot get enough. If you are out of an ingredient no need to fear just trade it for something else – that is the great thing about salads. Brown Halloumi in a pan using as little oil as possible. Remove from pan and blotch excess oil with a paper towel. Toast sourdough then dice into 1cm cubes. 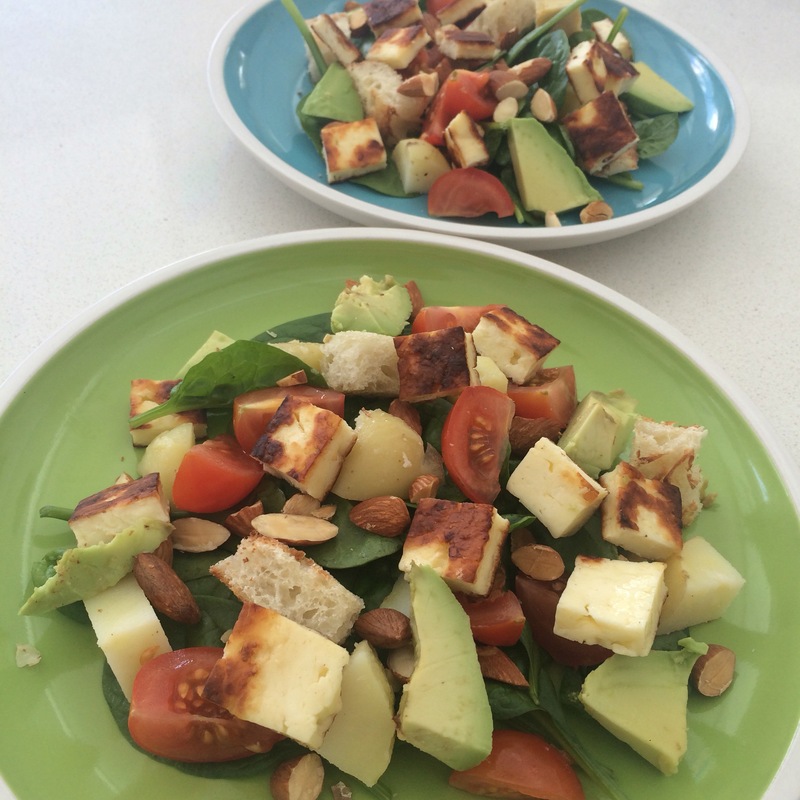 Dice almonds and avocado, slice cherry tomatoes into quarters. Layer salad ingredients on a plate then top with your choice of dressing – our faves are balsamic and just plain olive oil or lemon juice.